The silver Om Ring features the holy meditation symbol Om emerging from a twisted band. 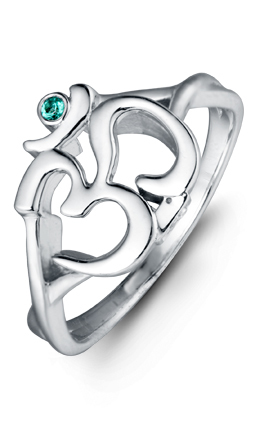 The Om Ring is 925-silver and features a created emerald. 0 out of 1 reviewer recommended this product.